Sacral Chakra gemstones are mostly orange. The second primary chakra is the sacral chakra. 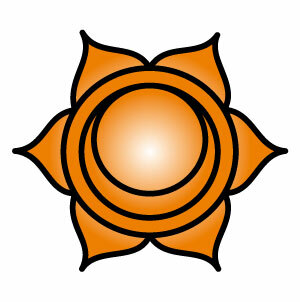 The sacral chakra is located at about three inches below the navel. The colour associated with the sacral chakra is orange, representing creativity and wisdom. Governed by the gonads, the sacral chakra looks after our pelvic girdle, reproductive organs, kidneys, bladder and all body liquids. A selection of healing sacral chakra jewellery and gifts, containing sacral chakra gemstones, can be found below.